So you’re looking for a quality ukulele? Well you’ve come to the right place. This in-depth ukulele buyer’s guide goes over the different types, brands and models of ukuleles so you can wade through the sea of choices. The ukulele first appeared in the 1800s and has grown more popular in recent years as a wide variety of artists have added the ukulele sound to their music. It’s a great first instrument because it’s relatively easy to learn and play. But if you’re an experienced musician it’s also a great way to expand your musical horizons. If you’re looking for a good ukulele, there are plenty of models to choose from in all different sizes and types, from cheap plastic toy models to expensive solid wood options. But with all the options out there, finding the best sounding ukulele can be a challenge. Whether you are new to the ukulele or you are an experienced player who is looking to upgrade your instrument, this article will help you find the perfect ukulele to fit both your interest level and budget. There are several different kinds and sizes of ukuleles to choose from, and each has its own strengths and unique tone. Below is a description of each type of ukulele, as well as our top picks for each. Soprano ukuleles are the smallest size of ukulele and have the highest pitch. Soprano ukuleles are considered to be the standard size at 20 inches and tend to be what most beginners start with. Because of its size, the soprano ukulele has a smaller range of notes that it can play and it tends to have a very distinct, happy sound. 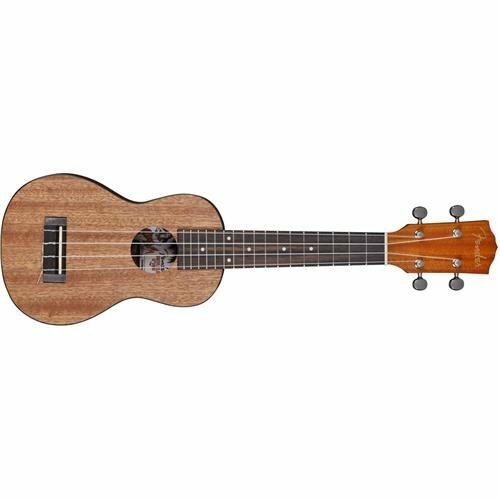 A top rated ukulele from Fender? Absolutely! The Fender U’Uku soprano ukulele is a uniquely-styled mahogany uke that features head-turning looks and beautiful sound straight from the iconic guitar maker. U’Uku is the Hawaiian word for “tiny,” but the tone this little uke puts out is anything but. The solid mahogany body and neck produce a very warm, bright and well-balanced tone. The rosewood fingerboard is easy to play and it has accurate intonation up and down the neck. This ukulele is also very well-made with subtle rock ‘n’ roll styling, and it stays in tune with the best of them. We wouldn’t expect anything less from a company like Fender. Read more about soprano ukuleles and our other top picks here. Concert ukuleles stand at 23 inches and have a slightly larger fretboard that makes them easier for some people to play. If you’re a beginner, this is a great size to start with. Concert ukuleles usually have between 15 and 20 frets and can play a broader range of notes. The tone is deeper and fuller than soprano ukes, but still has that signature ukulele sound. This is one of our all-time favorite ukes to recommend. The Cordoba 15CM features mahogany top, back and sides, which give it a uniquely rich and complex tone. This ukulele is completely handmade, the build quality is second-to-none, and it includes some features found only on much more expensive ukuleles. The 15CM has a sleek satin finish, abalone rosette, silver tuners with pearl buttons, and it comes stock with premium Aquila strings. It looks very classy, but still has that simple classic look that you expect from a traditional ukulele. This ukulele is a great option for both beginners and experienced players. Read more about concert ukuleles and our other top picks here. Tenor ukuleles stand at 26 inches long and are often the choice for professional and well-known ukulele players due to their distinctive sound. The tenor typically has between fifteen and twenty frets and has a wider body, bigger frets and a deeper sound than soprano or concert ukuleles. Tenor ukuleles are especially good for people with bigger hands or who are transitioning from larger instruments such as the guitar. The Kala KA-KTG is a beautiful, all-solid Koa uke that greatly exceeds what you would expect from a good quality ukulele. Koa is the Hawaiian wood traditionally used to make ukuleles, and the KA-KTG has a beautiful, rich, bright, throwback ukulele tone. This tenor ukulele is also a looker, featuring white maple trim and mother-of-pearl inlay. Not to mention the deep grain of the beautiful koa wood. It’s not wonder this is our top choice for a tenor uke. Read more about tenor ukuleles and our other top picks here. Baritone ukuleles are the largest size of ukulele and can be 30″ plus in scale length. They are tuned differently also – they share the same tuning as the top four strings of a guitar (DGBE). But, if you prefer standard ukulele tuning, you can also buy Baritone ukulele strings in GCEA tuning. Baritones are popular among guitar players because they can don’t have to learn new chord shapes. In spite of its larger size and its guitar tuning, the baritone still has more of an overall ukulele sound than a guitar sound. Baritone ukuleles produce the lowest tones of all the ukuleles. If you want a no-frills tenor ukulele that doesn’t compromise in the musical department, then look no further than the Alvarez RU22B. Alvarez makes top notch instruments all around, and this ukulele is no different. The all-mahogany construction gives the RU22B a deep, complex, woody tone. A hallmark of Alvarez ukes, the smooth-playing neck is attached to the body using a traditional dovetail joint for optimal strength and energy transfer. Premium tuners, bone nut and saddle, and rosewood fingerboard trim out this awesome package. The ukulele is a great instrument for beginning musicians in general. It’s much easier to pick up than guitar, and many chords can be played with just one finger. But what makes a good uke for beginners? We generally recommend starting off with a concert or tenor ukulele. These sizes are easier to play than the smaller soprano, and still have that classic ukulele sound. You’ll also want something inexpensive but still quality. Luckily there are many well made, affordable ukuleles out there. 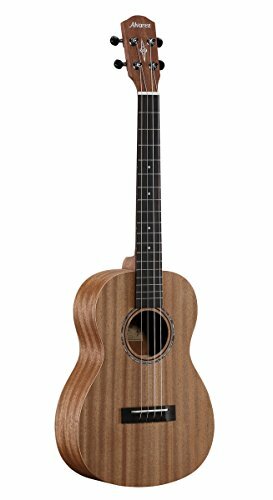 The Kala KA-C Mahogany Concert Ukulele is lightweight and very affordable, which makes it the top ukulele for beginners who don’t want to compromise quality for price. The body and neck are made of mahogany, and it has a full bodied tone with a very rich sound. The intonation is excellent right out of the box, and it holds a tune very well with its chrome die-cast tuners. This is an excellent little uke for beginners and more advanced players alike. You really can’t go wrong with the Kala KA-C, and you’ll be hard-pressed to find a better ukulele for the price. Read more about beginner ukuleles and our other top picks here. Specialty ukuleles include the banjolele, guitalele and other non-standard ukes such as Kala’s popular U-Bass. The banjolele is an instrument with four strings, a small body that is similar to the banjo, and a fretted ukulele neck. The guitalele is a cross between a standard ukulele and a guitar. It has six strings, it’s tuned like a guitar and sounds closer to a guitar than a ukulele – basically a mini guitar. The U-Bass is an awesomely unique ukulele that’s meant to be played like a bass. Choosing the best ukulele to buy can be a difficult task, especially if you are new to playing. There are many different sizes, woods, types, and brands on the market and finding the right one can be a confusing process, especially if you are a beginner. The first thing you should consider when you are shopping for a ukulele is your level of interest in playing and how much you are looking to invest in an instrument. What’s your ukulele price range? Do you want an expensive professional instrument or are you looking for a good cheap ukulele? The great thing about the ukulele is that it’s possible to find a high quality instrument for anywhere between $50-$200, so there is no need to spend a lot of money when you are just starting out as you can always upgrade later. Read our ukulele reviews to familiarize yourself with the different types of ukuleles and think about the size and sound you are looking for. Top quality ukuleles often come premium strings, but you can easily upgrade the sound of any ukulele by adding some good ukulele strings. It’s also helpful to research the different types of wood that ukuleles are made out of. Mahogany will have a different than Koa, for example. The information below will briefly explain some of the different types of ukuleles, popular brands, and some of the top models from each brand. This will give you a head start on getting the information you need to make the most informed purchase. There are plenty of good ukulele brands out there, but the brands below are the most common. 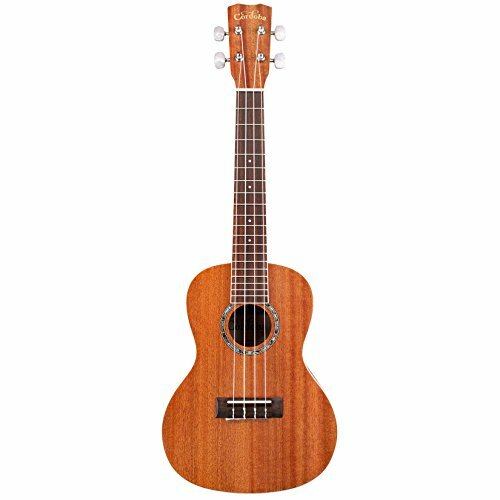 They all have solid ukuleles﻿ for beginners and also offer some top notch professional-quality ukes. There are also other brands out there like Pono and Kanilea that offer only very high-end ukuleles. Kala Ukulele was started in 2005 by Mike Upton and has its main office located in California. Despite being a newer brand, Kala is now one of the most well-known brands of ukuleles in the world. It may be the best brand of ukulele for beginners and intermediate players looking to get serious about playing the ukulele because they provide high quality instruments at very affordable prices. Started in 1997, Cordoba is a guitar company based in California that specializes in nylon string acoustic guitars. Cordoba provides lightweight, responsive instruments and they have a wide variety of ukuleles across the soprano, concert, tenor, and baritone sizes. Cordoba ukuleles are well-known for their quality. They have a large fan base of well-known musicians including Bon Iver, One Republic, Leonard Cohen, and the Decembrists. Luna Guitars was co-founded by Yvonne de Villiers, who was an accomplished stained-glass artist. She was inspired by her bass playing mother to begin making guitars that were both beautiful and unique. Luna was founded on Yvonne’s belief that customers should be seen as more than just a sales transaction but part of a larger community. 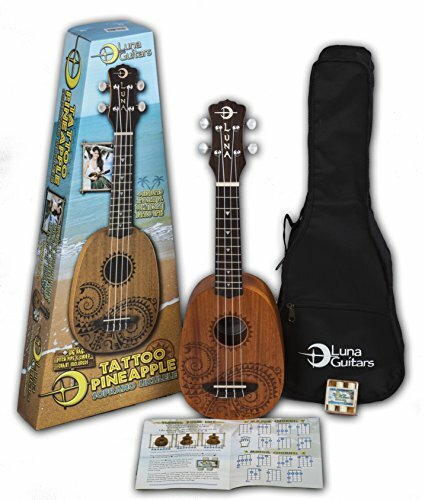 Since 2005, Luna ukuleles have been known for their unique looks and high quality. Lanikai was founded in 2000 and is distributed by Hohner, a company well known for producing quality folk instruments. 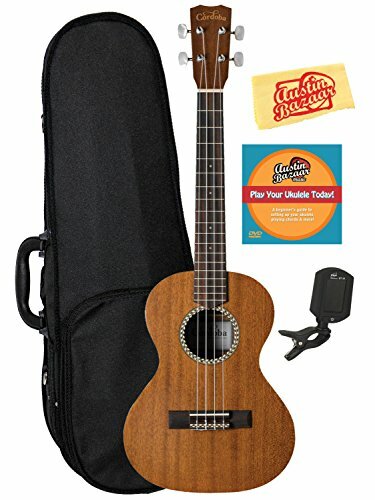 Lanikai is a popular brand for ukulele players and is one of the best ukelele brands because they offer a wide range of both entry level and high end models at a reasonable price point. Alvarez has been in the guitar game for decades, but they’re newer to the ukulele scene. A severely underrated instrument-maker, Alvarez makes makes awesome guitars that sound and play great – and their ukuleles are no different. Pick up any Alvarez uke, and you’ll know you have a quality instrument. We’ve gone over the different ukulele sizes, but they also come in several different shapes. A cutaway shape is when the right-hand shoulder has been cut back to making playing on the top frets of an instrument easier. Cutaway ukuleles are usually found in music stores and are found more often on concert, tenor, and baritone instruments than on the soprano. This shape is also very common on acoustic-electric ukuleles. When you are choosing what kind of tonewood to go with, your main consideration should be much you are willing to spend and the sound you are looking for. The main types of tonewood used to make ukuleles are koa, mahogany, spruce, cedar, maple, and rosewood. Mahogany is one of the most common woods used for musical instruments. Mahogany is a hardwood but is much less dense than rosewood. Mahogany ukuleles produce a warm and rich tone. Koa is a native Hawaiian wood that produces a bright, beautiful tone. It has traditionally been the standard tonewood used for ukuleles. Spruce is a softwood and tends to be more popular with guitars but is becoming increasingly popular with ukuleles as well. It is known for producing a bright and loud tone. Rosewood is often used in acoustic guitars but is becoming more common in ukuleles. It produces mid-range and low overtones. Rosewood is usually paired with a softwood top. Ukuleles can also be made out of maple, mango, cedar, and cherry wood. And you might also find ukuleles made from plywood, which means they were made from a cheaper, laminated wood. A ukulele made from solid wood will almost always give a brighter and more complex tone than ukuleles made from plywood. With the growing popularity of the ukulele as an instrument there is a flood of different models on the market, some good some not-so-good. There’s also a lot of information out there, and wading through everything can get overwhelming. This ukulele buying guide should give you a good handle on what to look for and what ukuleles might be the best choice for you. Any of the ukuleles we shout out here will make a great instrument, no matter if you are picking up the ukulele for the very first time or have been playing for years. Ultimately, the goal is to find the ukulele that is the right fit for you and your lifestyle and will provide you with years of enjoyable playing. 2019 Guide to the Best Tenor Ukuleles: Reviews, Tips and More! the best ukulele i have played is my mums fallopian tubes. Top quality strings. KLOS Travel Guitar Review: Is This the Best Portable Guitar in 2019? Looking for the perfect ukulele?Check out our detailed buyer's guide!